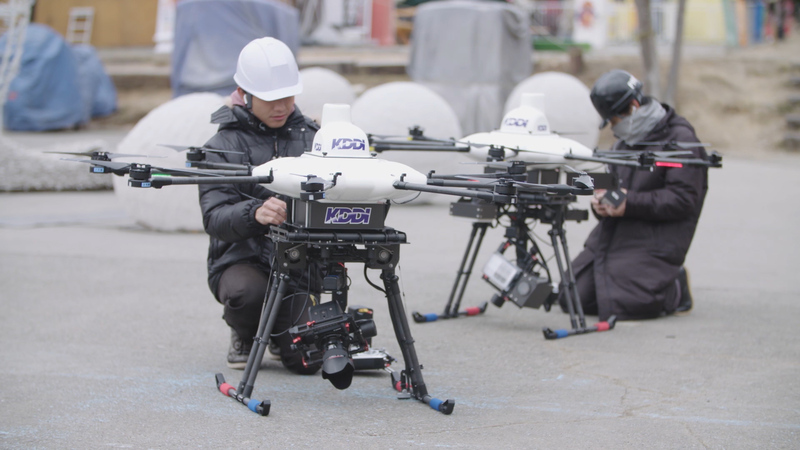 PRODRONE has cooperated in implementation of the world’s first project that allows more than one autonomous 4G LTE drones patrol extensive facility by controlling in remote location, together with NEDO, KDDI, Terra Drone, and SECOM. 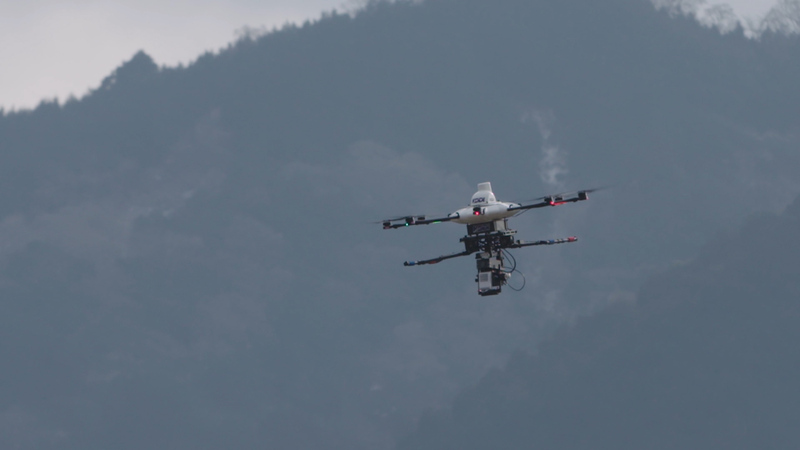 Our drones were respectively equipped different device such as Canon’s ultra-high sensitive cameras, visible light and infrared camera, LED light, speaker unit and so on. The total weight of each drone is approximately 20 kg (44 lbs), while the heaviest one is 23 kg (51 lbs). The role of two of four drones is to overlook the whole area, and one of the rest is to patrol and head into the field. 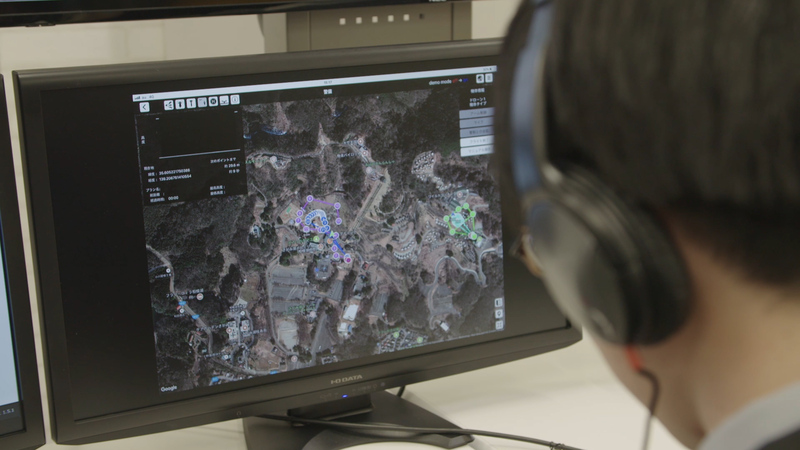 Staff from operations control office was able to remotely monitor to confirm if there is suspicious person or fire, to alert the stranger, and to perform even night surveillance through live videos transmitted from flying drones. 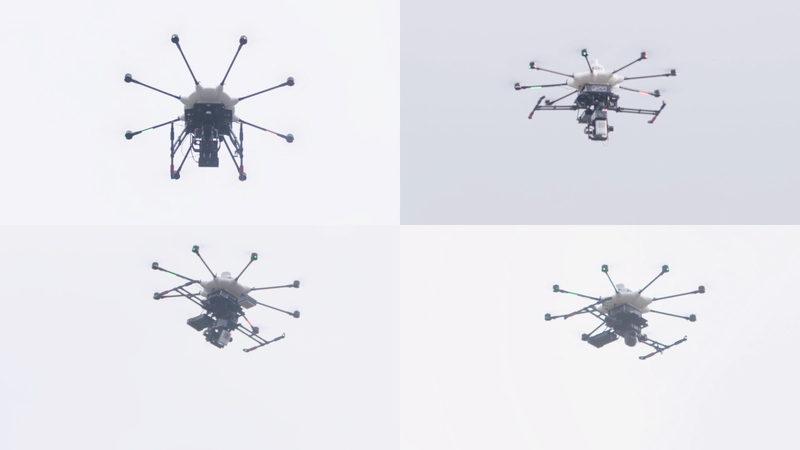 We endeavor to strengthen security for the society by utilizing these drones controlled in remote location.